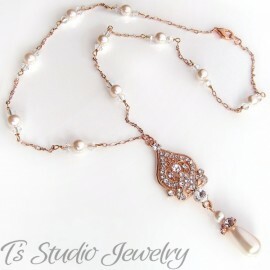 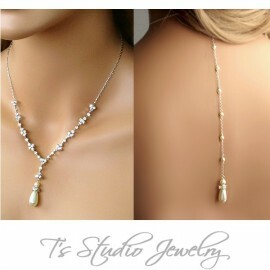 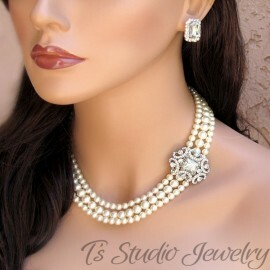 Available in silver/white, silver/ivory, or gold/ivory. 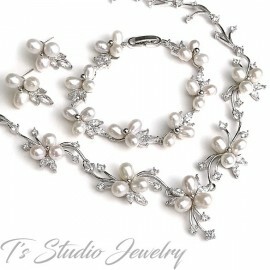 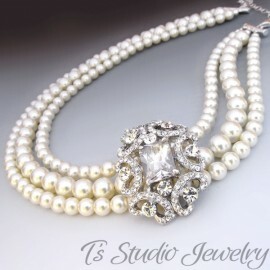 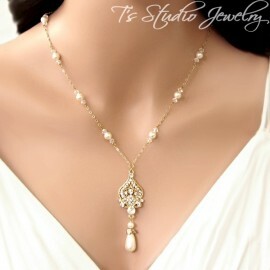 Enchanting and alluring, this silver plated necklace and earring set features white or ivory pearls and clear rhinestone crystals in a lovely flower and vine design. 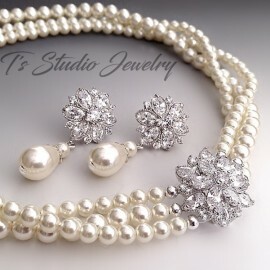 The floral design of this set makes it the ideal accessory for your wedding.